Build a theatre? This isn’t usually something you hear from an artistic director, let alone one who’s under 40. But sure enough, this is what Bond did. After six years of intensive research into the right location (“This area has the highest proportion of artists and audiences who go into the West End. Now they go into the West End and come here”) Bond acquired a disused office building in Finsbury Park with the assistance of a private donor in 2009. A year later, he had secured planning permission and an architect. Three years later, a state-of-the-art venue with two performance spaces had been built. 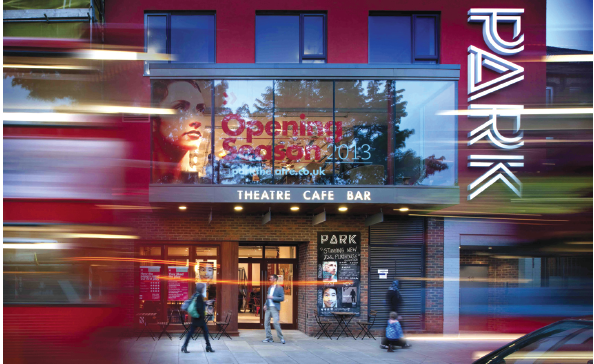 This year, after being open for only 18 months, the Park Theatre won The Stage Awards fringe theatre of the year prize, which is pretty impressive by anyone’s standards. Everything, from the toilets to the thrust stage, was Bond’s responsibility. It must have been an enormously daunting project, but he has been building up practical experiences of theatre buildings since his teens. This story highlights two of the other qualities that have marked Bond out: resourcefulness and building personal as well as professional relationships. “It’s just about keeping in contact and having a genuine connection with someone,” he says matter-of-factly. But I think this belies the streak of determination that runs through Bond like iron. He has an incredible ability to get people on side, engendering an astonishing level of support for the theatre from industry greats such as Ian McKellen. At the Park’s first birthday gala – hosted by McKellen – Bond affectionately photobombed Benedict Cumberbatch and mingled with the likes of Tom Stoppard, Patrick Stewart, Anna Maxwell Martin, Celia Imrie, Timberlake Wertenbaker and Rupert Goold. Even Evgeny Lebedev, owner of the London Evening Standard and The Independent, and Jeffrey Archer attended; Archer was auctioneer. 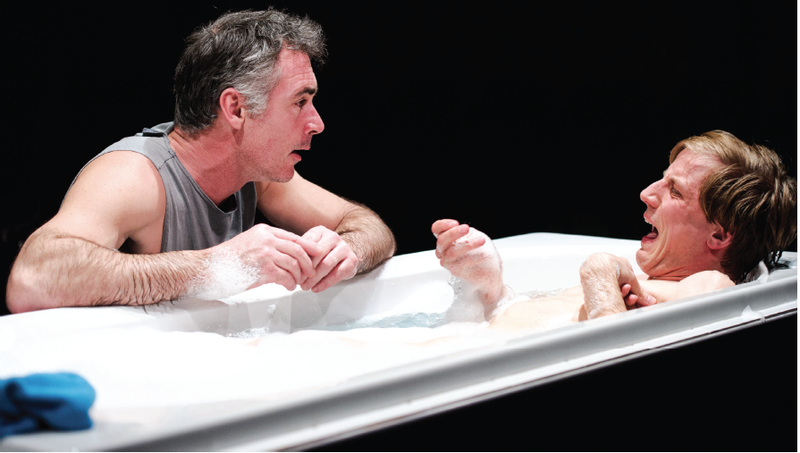 At my most recent visit to the Park, I saw Greg Wise – currently starring in the much-lauded Kill Me Now at the theatre – and Emma Thompson in the bar greeting Bond like an old friend. To say this man is well connected is something of an understatement. It’s hard to imagine McKellen saying “awesome”. 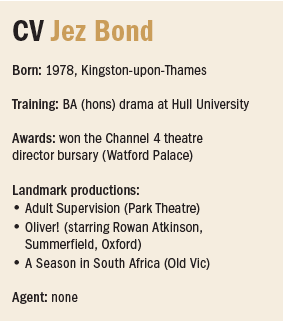 At the gala he was quoted as saying: “What’s the word for Jez Bond? ‘Thrusting’, ‘cheeky’, ‘forward-looking’, ‘single-minded’? Or is it simply ‘chutzpah’? He’s got the lot – and he’s got me on board.” That line is perhaps more indicative of the effects of Bond’s persevering charm. But clearly the artistic director’s strategy has worked. Bond enables agency in other people. He’s not a one-man networking machine; he’s the creator of a network that now operates under its own steam. If this sounds like a closed shop, I genuinely don’t think it is. Bond may be creating a gang but it’s one he wants everyone to be part of; this is more about PR than elitism. When the theatre was being built, Bond was aware there was very little to build its name on other than a temporary sign and logo. 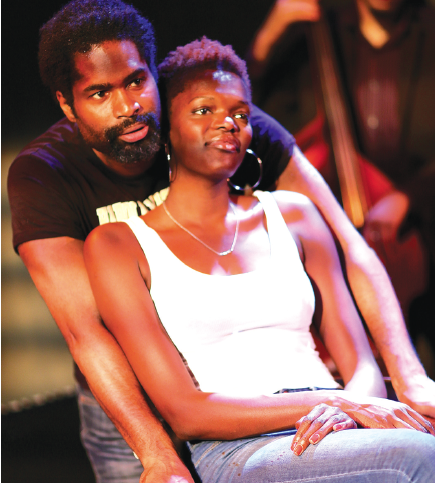 He needed to get people on board to build an excitement about Park Theatre that was tangible. So he and his team started hosting hard-hat tours around the space. Sitting in the bustling cafe bar at 11am, it seems this has worked. It has the same homely, comfy and chic feel as the Young Vic, a theatre bar that it’s often compared to. At the same time, the layout of Park 200 (both theatre spaces take their names from their respective seating capacities), with its intimate feel and stalls and circle levels, is sometimes likened to the Donmar Warehouse. Did he take inspiration from any of London’s other Off-West End and fringe theatres when designing the Park? It’s almost impossible to separate Bond from his building, but I try to wrestle him away from the bricks and mortar to the mechanics of his rehearsal room. As a director, what is his style? His response is typically proactive. 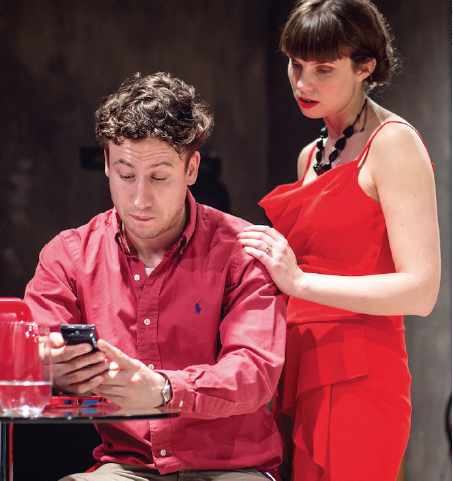 “I get the play up on its feet very quickly. I’ve even been known to do a first read-through as a first run-through. So I’m for action. Yes we can talk, but we can talk on our feet. He holds no truck with the current vogue for, as he calls them, “ideas plays”. He puts on a melodramatic drawl: “‘Four men on a bridge. Are they men? Is it a bridge? The androgynous bodies with the red sky in the background…’ Oh God,” he laughs in mock exasperation. “I don’t do that. Tell me a story.” He believes instead in plays with “a strong narrative drive and strong emotional heart”, citing Ibsen and Rattigan as his favourite playwrights. He’s currently working on Hurling Rubble by Avaes Mohammad, a two-part collaboration with Red Ladder Theatre Company (“another of the companies I opened the doors to at the Stahl Theatre”) and is focused on continuing to build the Park’s national and international reputation. But what about the future – could he ever face leaving the Park? He grins: “I don’t know whether I’ll be the Sam Walters [co-founder of Richmond’s Orange Tree Theatre] who builds something and stays there until he retires or whether I’ll be someone who moves in five years having built it up. I’m not done with the Park Theatre yet,” he says resiliently. “I’m a long way off in terms of building up the amount of shows we do in-house and our engagement with the community. 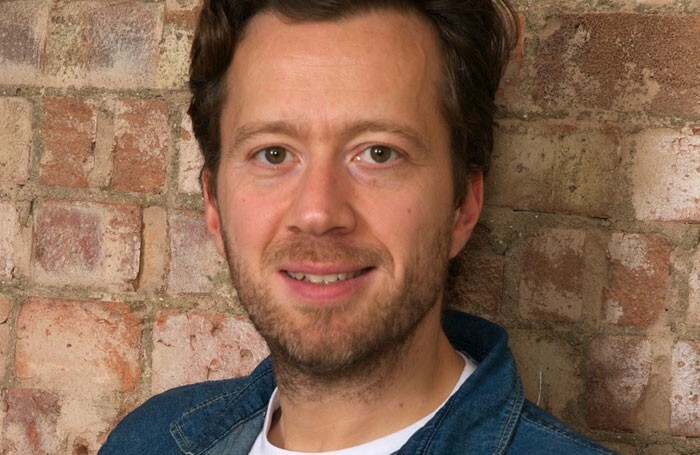 We also want to make the Park a producers theatre and look at how we can support emerging producers,” he continues, vividly likening the theatre to a living creature.